Since the 1930s, millions of people worldwide have enjoyed the benefits of a lymphatic drainage massage. Visit us for a calming, relaxing, and healing experience. Developed in Europe in the 1930’s by Dr. Emil and Estrid Vodder, Manual Lymph Drainage (MLD®) is a safe, effective, and gentle approach to cleansing the body’s tissues and has a detoxifying effect. It can benefit a healthy person as well as be applied to more than 60 different conditions. Scientific studies, as well as vast clinical experience, have supported the effectiveness of MLD®. Learn more about lymphatic drainage. MLD® Removes metabolic wastes, excess water, toxins, bacteria, large protein molecules and foreign substances from the tissues. MLD®, through its gentle rhythmical precise hand movements, alleviates pain by greatly reducing the pain signals sent to the brain. MLD® helps the body to heal more quickly from injuries, surgical trauma, chronic conditions and edema. Your lymphatic system is effectively your body’s drainage canals. Toxins and metabolic waste is flushed out of muscle tissues via the lymph system. In this way, the lymph system plays a vital role in your immune system. Lymphatic drainage is a gentle process that encourages these channels to drain and clear up, improving health both mentally and physically. We have been in our Union Square location for over 16 years and are proud of the reputation we have earned all over NYC. Our treatment space is located in Lower Manhattan, a block North of Union Square. Our dedicated and experienced team of therapists and paramedical support staff are what empower us to help our patients. Well-trained, experienced, and motivated to help you feel better, you can count on our team of physical therapists and massage therapists to help you move and feel better. 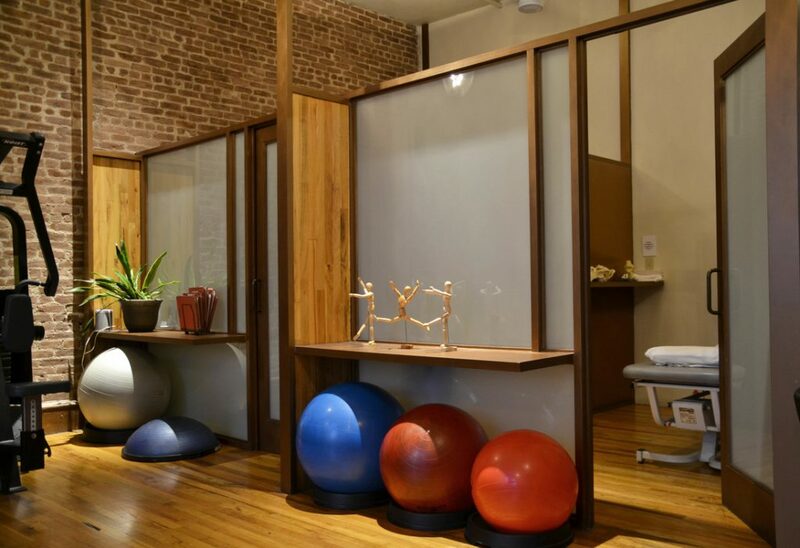 James Fowler Physical Therapy is located in Union Square at 873 Broadway, between 18th and 19th street. (To buzz into building dial 012).